Need a night out? How about a night out without the kids? If you lack a trusted sitter, The Meadows and Taft House can help you out with an affordable solution. Enjoy an evening on the town with peace of mind that your kids are having fun at Kids Night Out at the Taft House. Kids Night Out gives your children a chance to get out of the house and have some fun with other kids from the neighborhood. Each event will feature a movie (rated PG), pizza for dinner, and plenty of other activities and crafts for kids between the ages 4 and 11. As you can imagine, Kids Night Out is pretty popular with parents in The Meadows, so slots fill up fast. Register early! Keep an eye out on meadowslink.com for more opportunities to take advantage of this great event throughout the year. The cost for dinner, a movie and four hours of fun for your kids (and a night out for you) is just $12 per child for The Meadows residents and $15/per child for non-residents. For information about future Kids Night Out Events, contact Molly Gigax at 303-468-5212 or via email at mgigax@meadowslink.com. Let’s face it, as parents, a night out, even if it’s for a couple of hours, is needed to recharge the batteries. Plus, with all of the new restaurants, breweries, and fun in town, you’ve probably been looking for an opportunity. Kids Night Out is a program that’s affordable, safe, and fun for the kids. 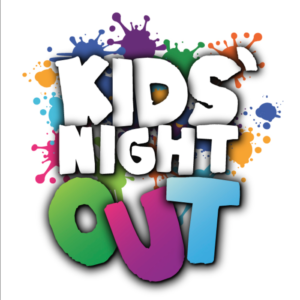 Get information about the next Kids Night Out here.